Hello to one and All...!!! My dear friends, readers, visitors and followers! Hope everything is well at your end. Thank you for your continuous support and visits to my space even though there were not much updates from me lately. I tried my best to keep in touch with you, atleast via my FB page. Apologize if I took some time off to reply your emails and messages. Really appreciate all those loves! Fine, now back to the event today. Before that, let me inform you that my Hubby would be leaving for Uruguay just before Deepavali, so there'll be no celebration at home for us. Guess I'll be free from making any savouries for the festive. BUT! I would love to hear from you. 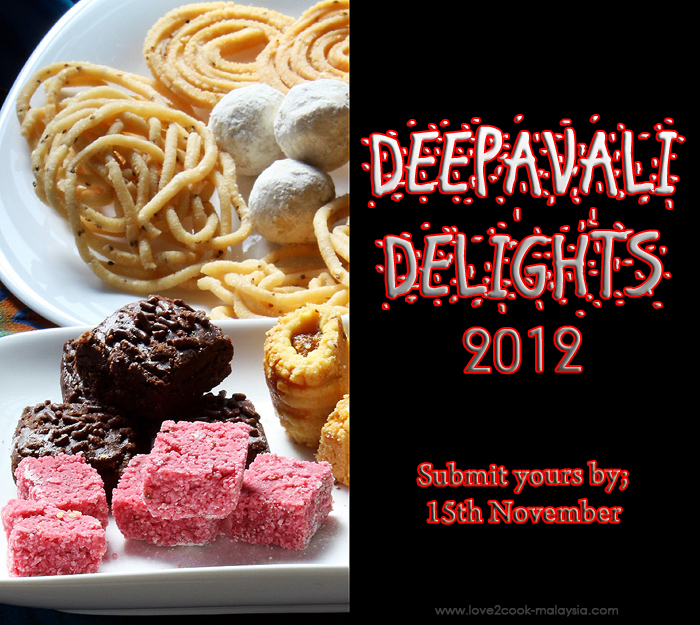 What are your special treats for this year Deepavali? Be that cookies, snacks, savouries or desserts...share them with us by sending in your entries to my event. I shall do a round-up of all your entries after the closing date, linking to your blog post with a thumbnail included. Use the 'Simply Linked' tool below to submit your entries. Link to your blog posts. Please be sure to add my event banner at the end of your post. Older posts made in the month of October 2012 are accepted. Happy hosting sis..Will send mine. Will send mine. Happy hosting.Thanks for ur sweet comment and good wishes at my place. wahhh very interesting ! ..
apa2 punn happy diwali dear ! My love...I like the coconut candies! Eh, anyway, speaking of recipes...I'll find some time to send my rendang recipe to you. Nice event, will try to participate.. I would be happy to join! This will give me an incentive to start cooking Indian food! Hihi ni bukan contest kak. Just a fun event to gather all the yumm festive treats from others. Akak pun boleh hantar! :)Btw, I still got a long way to go kak....not a master as yet...hihi! 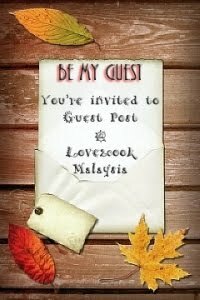 I am in for this event and surely be sending mine..happy deepavali to you and your family :)! Is coconut candy consider as Deepavali delight? Nice event...will try to participate..
friend, sorry for not stopping by for a while, just back from vacation mar..Oh, this is a nice event, let think something and will try to participate. Thanks so much for dropping by my kitchen. so glad to see this event happening! I added my blog, which is http://presentedbyp.blogspot.com/ and posted a recipe for Carrot Halva which I have made before, and will make again for Diwali. Nice event!! :) How are you?? I haven't been cooking because of exams! :( Will link something soon if possible!